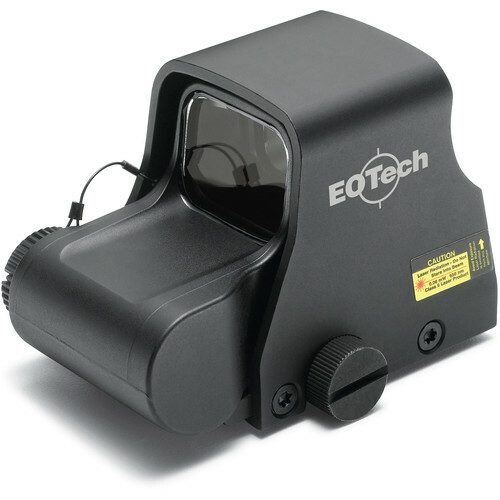 Short and sweet – the tan L-3 EOTech EXPS3-0 holographic red-dot sight provides rapid heads-up-both-eyes-open target acquisition. Sporting a shortened form factor like the original XPS3, The EXPS3-0 also boasts a repeatable quick release throw-lever mount. Because it’s powered by a single transverse-mounted CR123A battery, the EXPS3 is shorter than the N and AA battery versions – yet it delivers the same parallax-free sighting capabilities. This sight requires a mere 2.75″ of rail space, and the battery compartment is raised to accommodate the Delta Ring of most M16/AR15 platform firearms. The base is configured with a 7.0mm rise to accommodate hand guards and instant access to BUIS. The battery cap is a simple screw-type cover that’s o-ring sealed and tethered to the housing. The control buttons have been placed on the left side of the rugged aluminum housing for ease of operation with a rear-mounted night vision device. The illuminated reticle is configured with a 65 MOA circle and a single 1 MOA dot – the illumination system provides the operator with 30 brightness levels to choose from, 10 of which are compatible with night vision gear. Designed for today’s high-tech battlefield; the EXPS3-0 is submersible to a depth of 33′, and the QR throw-lever mount is repeatable to 2 MOA after remounting. The rear window is a 3/16″ thick shatterproof laminate with anti-glare and scratch resistant coatings, and the front lens is 1/8″ solid glass. Because the optical system is based upon transmission holography, parallax error is not an issue – a mission-critical feature that can save your hams when the mayonnaise hits the fan. The RMR Sight from Trijicon provides optimum red-dot visibility against the target for rapid target acquisition and precise shot placement. 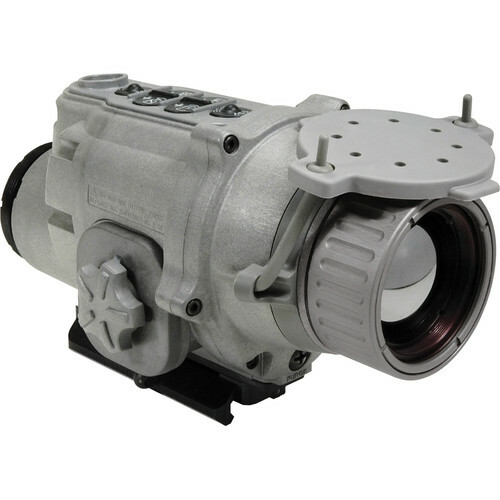 Designed with longevity and repeatability in mind – the RMR (Ruggedized Mini Reflex) features a durable forged aluminum housing and hard-coated window to ensure long-term reliable service. This permutation of the RMR is configured with a 3.25 MOA red-dot reticle that’s powered by a standard CR2032 battery. Audible clicks allow for easy and quick windage and elevation adjustments. 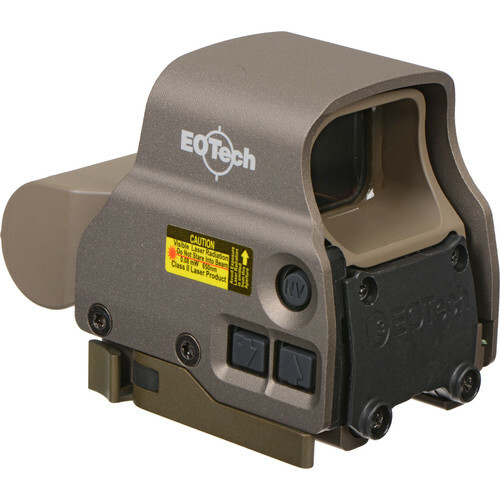 The 2015 edition of EOTech’s Model XPS3 Holographic Weapon Sight is built to conserve valuable rail space while enabling rapid both-eyes-open sighting and tracking in a variety of conditions. This model’s reticle features a 1 MOA center aiming dot for use at close to medium range, and a second dot under the first for long-range use with a magnifier. To get users on target faster, impact point correction is made at 0.5 MOA per click with a total windage and elevation adjustment range of 40 MOA to compensate for most terrain and conditions. Measuring just 3.8″ and weighing a mere 9oz the XPS2 has an integrated Picatinny/Weaver rail mount, is submersible to 10′, and is internally fog-resistant. It runs on a single CR123 battery with a continuous runtime of about 600 hours at a medium setting, with 20 selectable intensity levels for use in most lighting conditions. To get users on-target faster the MRO has 1/2 MOA impact point correction with a 70 MOA windage and elevation adjustment range to compensate for most wind and terrain conditions. The housing is made of a 7075-T6 aluminum alloy with a scratch and corrosion resistant anodized finish to withstand rough use in the field. O-rings seal the nitrogen-filled housing for fogproof performance in extreme temperatures, and allows it to be submerged to a depth of up to 100 feet. Employing energy efficient electronics, the MRO runs on a single Cr2032 battery and has a continuous runtime of up to 5 years on the medium intensity setting. 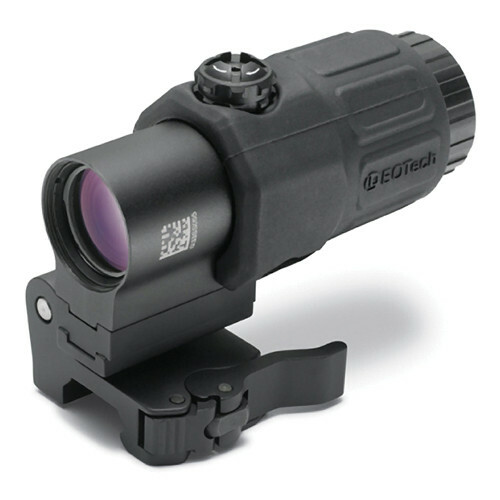 This version of the MRO includes an adapter to mount the sight on Picatinny rails, and sets it off the rail 1.538″ to the optical axis for fully co-witnessing with the front iron sight. With exposed tactical P5 elevation turrets that are optimized for .223 Remington, the matte black Mark AR MOD 1 1.5-4×20 Riflescope from Leupold is designed for short-to-medium-range shooting and features a Illuminated FireDot-G SP Reticle. The optical system offers 1.5-3.9x actual magnification, Mulitcoat 4 anti-glare coatings that reduce glare and enhance transmission, and a linear field of view range of 73-29.3′ at 100 yd. To help you compensate for wind drift and ballistic bullet drop, the scope offers a 125 MOA windage and elevation adjustment range with a 1/10 mil impact point correction. The Illuminated FireDot-G Special Purpose Reticle features a green center dot. The reticle provides greater precision at longer ranges than generally possible with other reticle styles, but also can be used for instinctive and close‑range engagements. Its green center dot is visible well during day or night. The aluminum housing is lightweight and durable, waterproof, and argon-krypton-filled fogproof. It is compatible with 1″ riflescope mounting rings and has a lockable fast focus eyepiece with a low profile tactile zoom lever that helps you with an instant one-finger zoom adjustment. 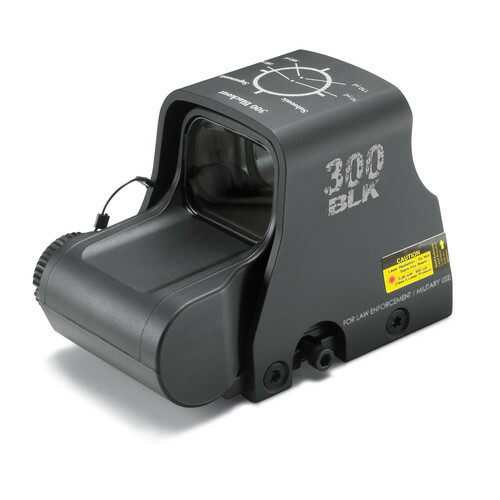 Designed to be used with small-to-medium weapons for close quarters combat, the black XPS2-300 Blackout Sight from EOTech features an illuminated holographic 300 Black Zero Reticle with two red dots, and waterproof and fog-resistant construction. 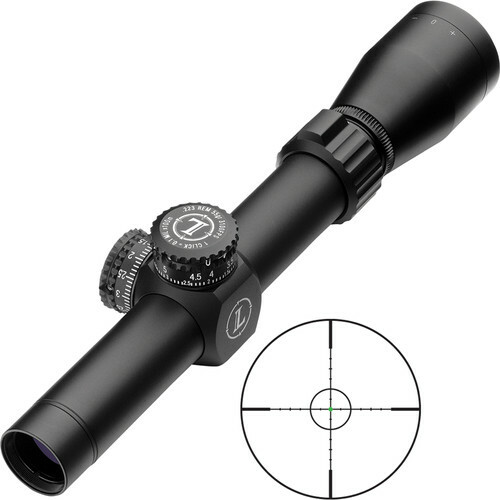 It offers 1x magnification, 90′ at 100 yd linear field of view, and multicoated optical elements. You can compensate for crosswinds and ballistic bullet with a total of 80 MOA of windage and elevation adjustments. The increment is 1/2 MOA per click.